This is your chance to invest in the lifestyle of one of Marblehead's most popular ocean area neighborhoods. Since the turn of the century, the Clifton Heights Association has hosted year round fun and festivities for young and old such as the Fourth of July Horribles parade and lobster bake congregating at the oceanfront, sunning and swimming off the float movies on the green, summer sing-alongs and skating on the frozen pond. 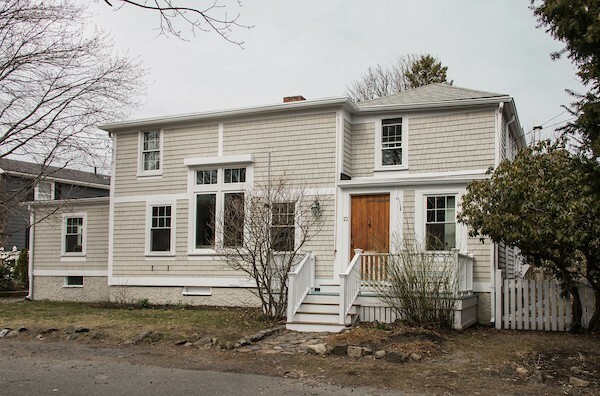 This much loved converted 8 room/3 bedroom home is one of a kind - loaded with charm and flair - it has a sunny exposure, open flexible floor plan, living room with fireplace and high ceilings, 1st floor office, master suite and deck overlooking yard. In the last few years: new roof/skylights, new wiring, new kitchen, many new thermal windows, new lavatory. Summer is coming, lets start the fun! included, door on woodstove needs repair.